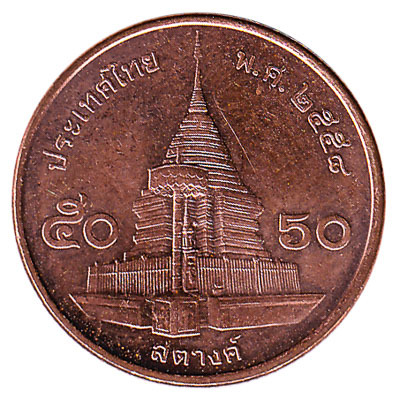 Convert your leftover Thai Baht coins to cash using our hassle-free online exchange service. Get paid fast for your unused currency from Thailand. 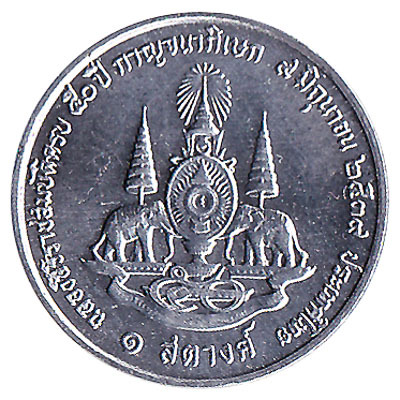 Thai baht coinage has been produced by the Pathum-Thani-based Royal Thai Mint since 1860. 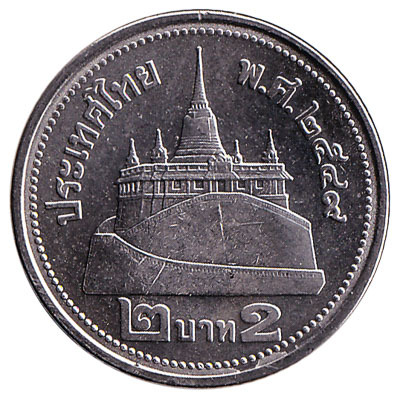 Coins from 1 satang to 10 Thai baht are legal tender in Thailand. 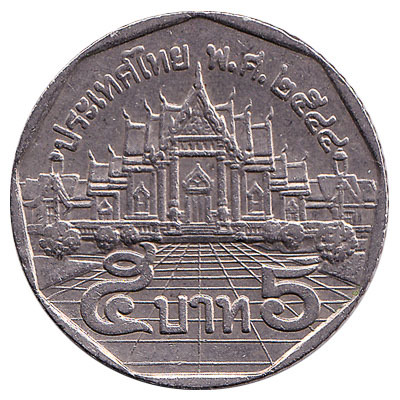 Thai baht coins also circulate in Cambodia, Laos and Myanmar. 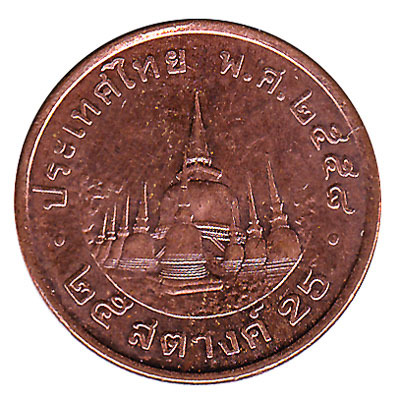 The satang is a subunit of the baht, equal to one-hundreth of a Thai baht. 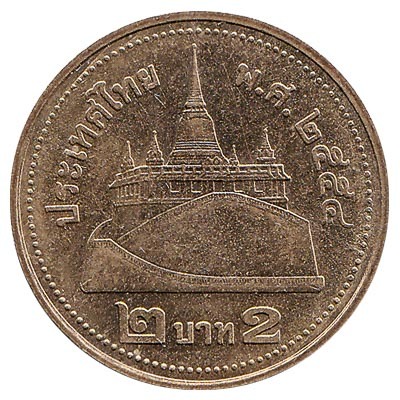 We accept all Thai baht and batang coins for exchange, free of charge. We also give cash for withdrawn and current Thai Baht notes. 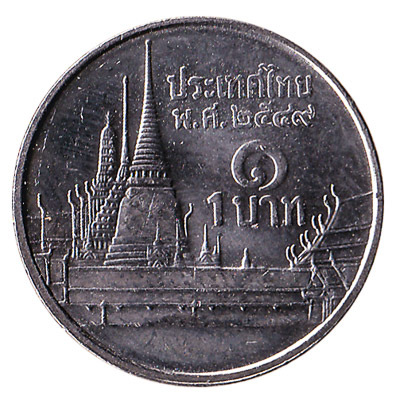 Do you have Thai Baht coins like the ones in the pictures below? Add the amount you want to exchange to your Wallet. You'll see exactly how much money you'll get for your Thai Baht. Click on the Wallet symbol to complete checkout and get paid within 5 days of receiving your currencies. 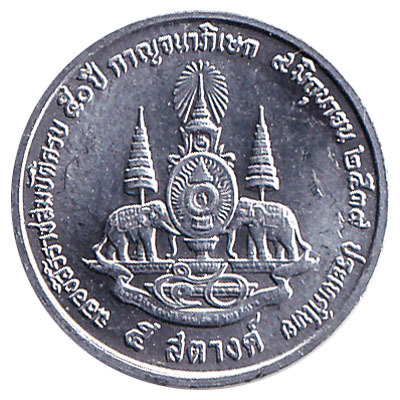 This silver-colored 1 Thai baht coin depicts the King of Thailand, Rama IX, and a temple. The nickel-plated steel coin measures 20mm across and weighs 3 grams. 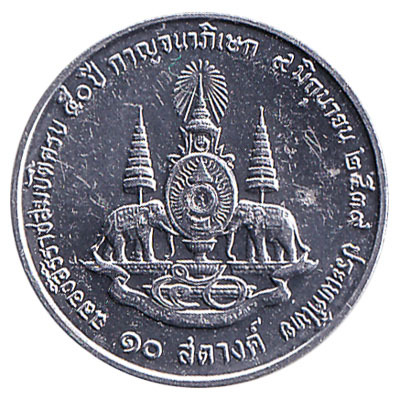 The coin of 5 satang features Rama IX of Thailand. On the aluminium piece, the inscription reads ‘Thailand’. 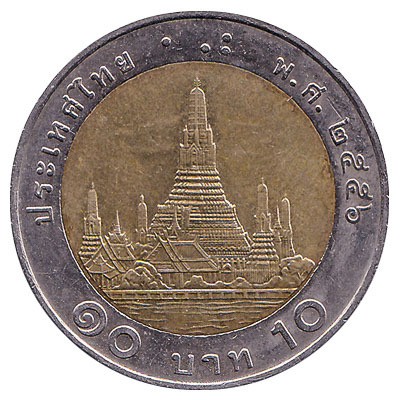 There are 100 satang in one Thai baht.